Why many of the home painters usually like to paint a home with the use of their paintbrush? What are the reasons that we might need to understand why applying brush to house is more considerable than any tools in painting? 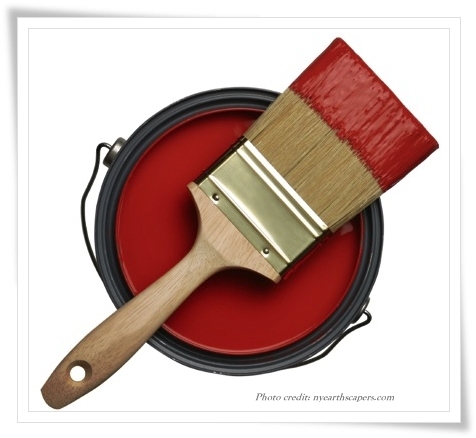 Yes, paintbrush is one of the most important and main tools in painting your interior and exterior of your home. Using a paintbrush can help you determine easily some problems of a wall surface you are painting. The paint sprayer cannot help for complex areas unlike with the paintbrush that is perfect for those knots and cracks where you need an extra daub of paint. Paint-spraying requires maximum tarping, not just directly below the surface but well beyond. Every single thing that will not be painted must be covered. With manual brushing, very little needs to be covered: the area below; critical areas like trim or windows which your brush might accidentally hit; and yourself. One of the best things of painting your home exterior has nothing to do with the finish paint itself. If you have the paintbrush in your painting project, it will definitely easy for you to control everything, especially of getting up close and personal with your house’s skin or surface. When painting by hand, you must need to take some prep work like patching, sealing and any solutions to make the surface even. When doing the spray paint, most of the home painters need to take a complete masking and tarps. It is so different when you are applying paint on hands. You only need to put on your old pair of jeans and shirt, pop open the can, and you can start your project. Paint-spraying is not a here-and-there project. But when you paint by hand, you can do 30 minutes here, 40 minutes there. Your only obstacle is cleaning up the brush. There are still lots of tips for manually painting whether you are painting the large or the small part of your exterior. To learn more about it, consult the painting contractors Fort Worth of Southern Painting that can provide you as well the kind of service you need for you project whenever you need a professional team. To determine your concerns, contact us today at (855) 252-6200 or visit our website for more information and updates.